TCHS Key Club had their first event on Sept. 18. 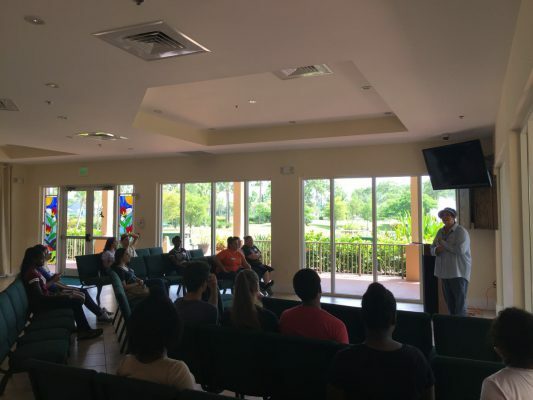 This was an orientation of the St. Lucie Botanical Gardens. Students learned about the Gardens, how they are kept, and how to volunteer. 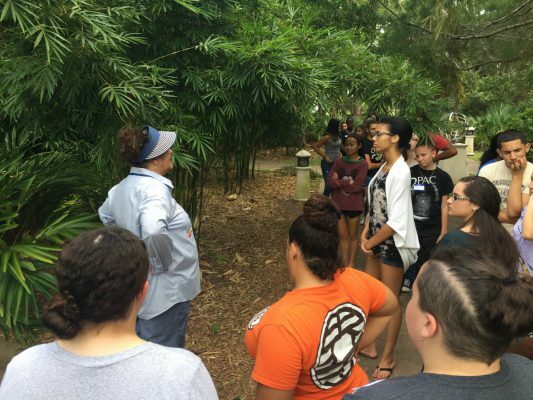 The Botanical Gardens hosts a variety of events, but have always welcomed TCHS! Mariposa Elementary First Grader Refused to Give Up! Students in Mrs. Christy Nuccio’s fifth grade class work diligently comparing and contrasting characters from a realistic fiction story. Pictured from the left are: Zoey Zurita, Savana McKenzie, and Jenna Simmons. Lakewood Park Elementary held its first McTeachers Night of the school year. Families and staff came out to support the school and even had the opportunity to get faces painted and win raffle prizes. Fun was had by all who participated, and we look forward to the next one! St. Lucie Public Schools received the St. Lucie Education Impact Award at the annual United Way Spirit Awards Breakfast. Each year, the School District supports the United Way in the areas of health, education, and financial independence.